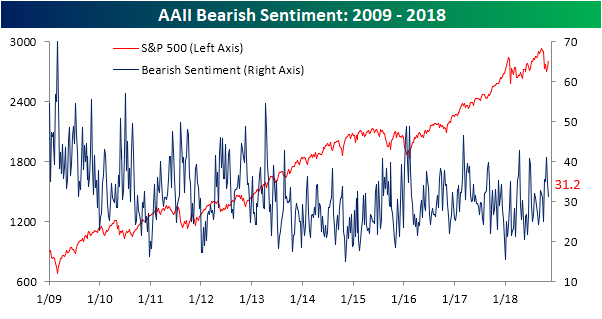 The sentiment of individual investors in the weekly AAII survey saw a huge jump in bullishness last week. This week, while the number did not skyrocket, there was another increase after a solid week of equity market gains. The bullish camp saw a 3.4 percentage point increase to 41.28% from 37.93%. Bearish sentiment fell to 31.19% from 34.48%. It is now well below the high of 41% from only a couple weeks ago. 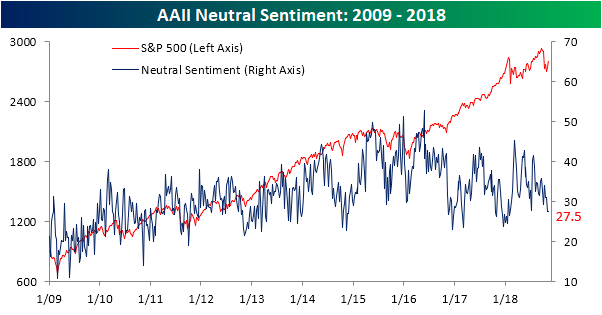 According to these sentiment levels, it would be fair to say any fear stemming from the October decline has now tapered off. The share of investors sitting on the fence went basically unchanged, only falling 0.07%. 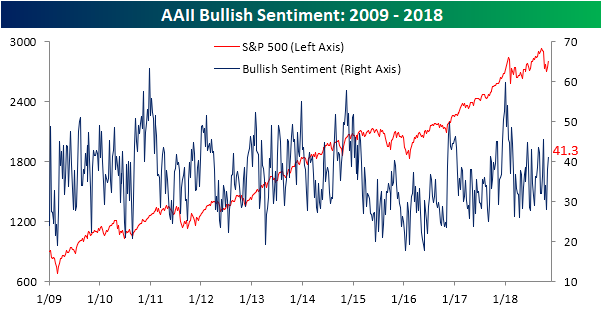 Suffice to say that the influx of bulls has not come from the neutral camp.